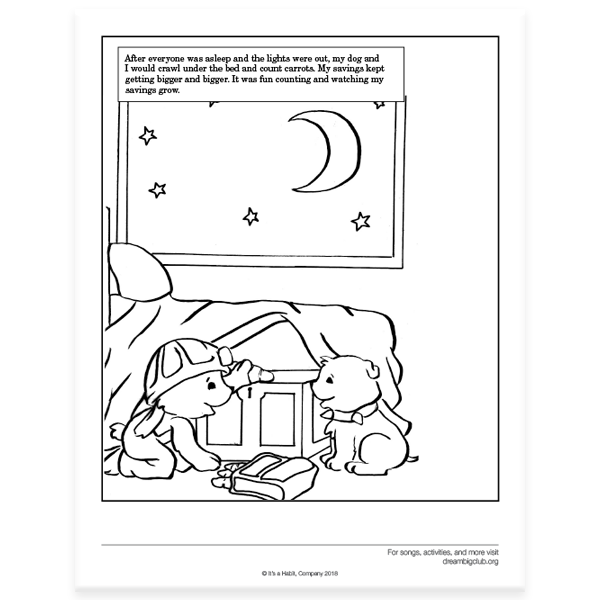 Story shares one of the most important life lessons! 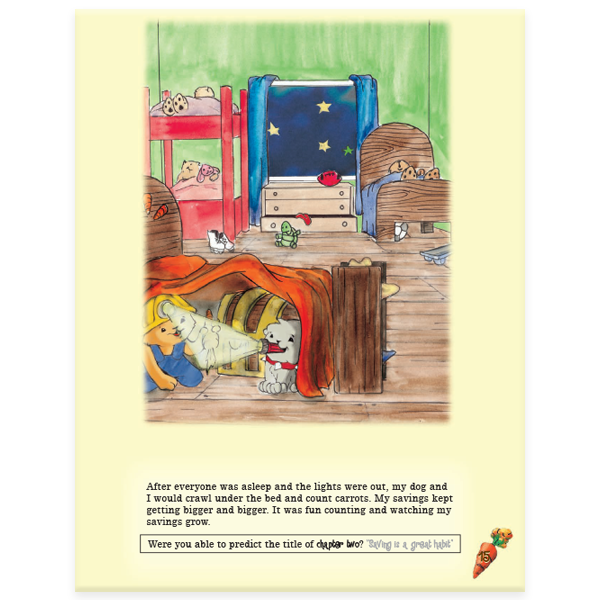 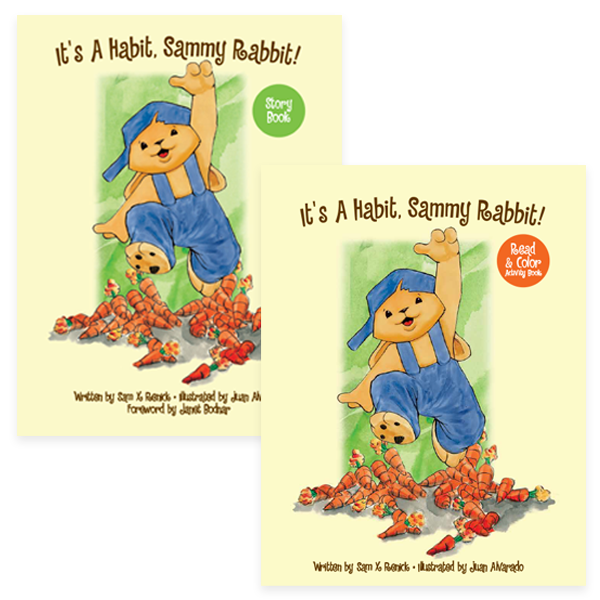 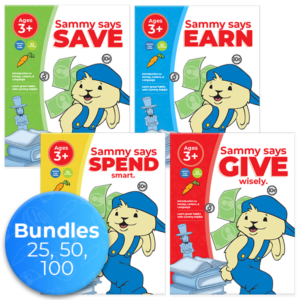 Sammy Rabbit learns a huge secret from his Auntie Squirly that can help him rescue his family, but he will have to practice a new habit of saving for the future. 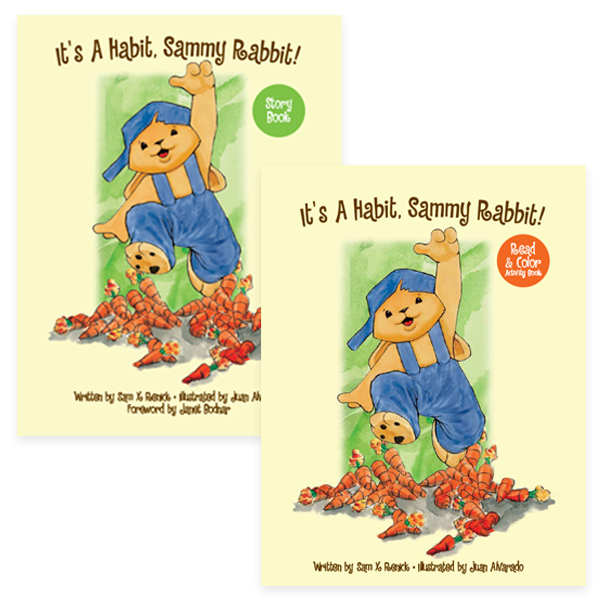 Will Sammy learn this great habit quickly enough to rescue his family? 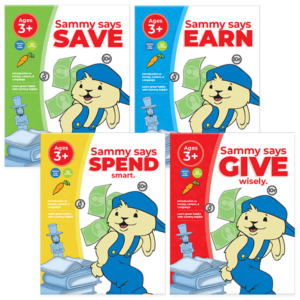 Kids will learn that saving for the future is a great habit! 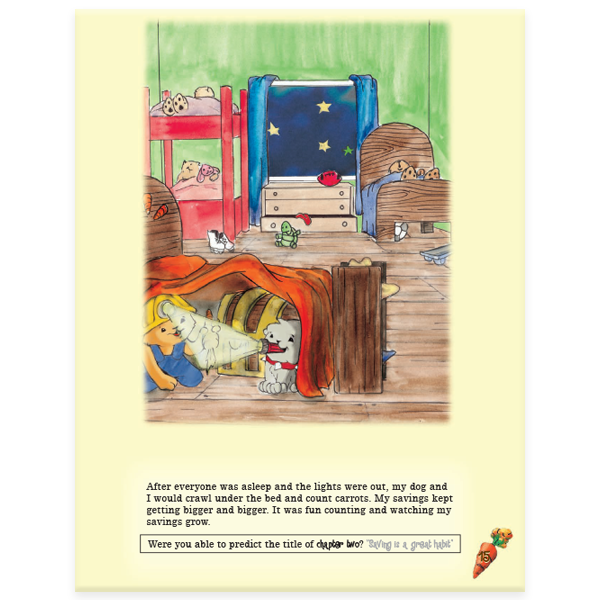 32 page full color story book that includes game and activities. 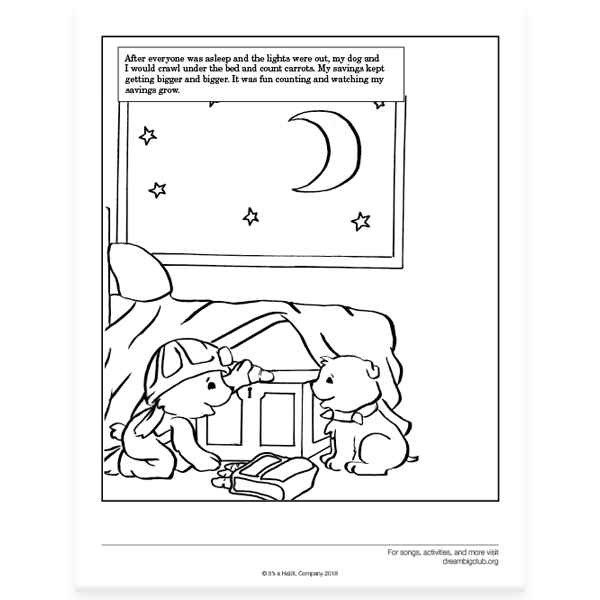 32 page black and white read & color activity book. 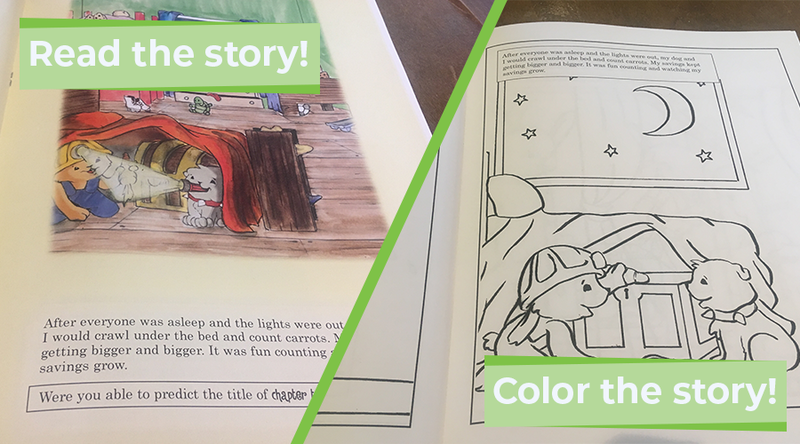 Same story but kids color it!